One storm out, next storm to watch. It looks likely we will see a strong Alberta Clipper move through the Midwest next week, mostly on Tuesday. 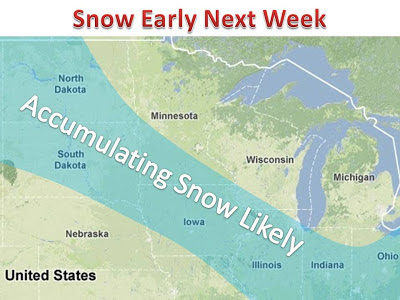 As of now the heaviest snow will occur in the shaded area, with northern Iowa being hit hard (according to one computer model). With the said I would expect a broad area of 3-6". According to computer models, 6"+ is possible, but history and this normal track of like systems I would expect less than that. 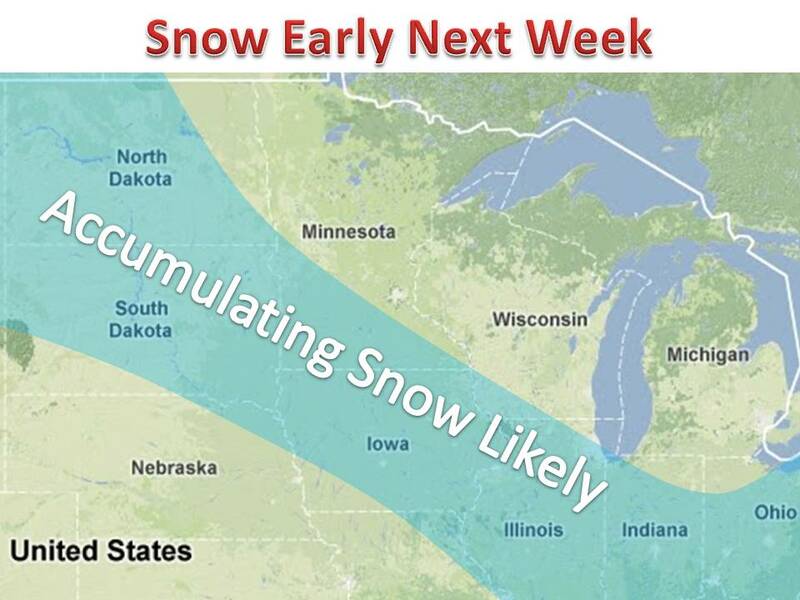 We will fine tune as the system gets closer, still 5+ days out. Stay tuned. "The Great Plains Winter Storm of '13"